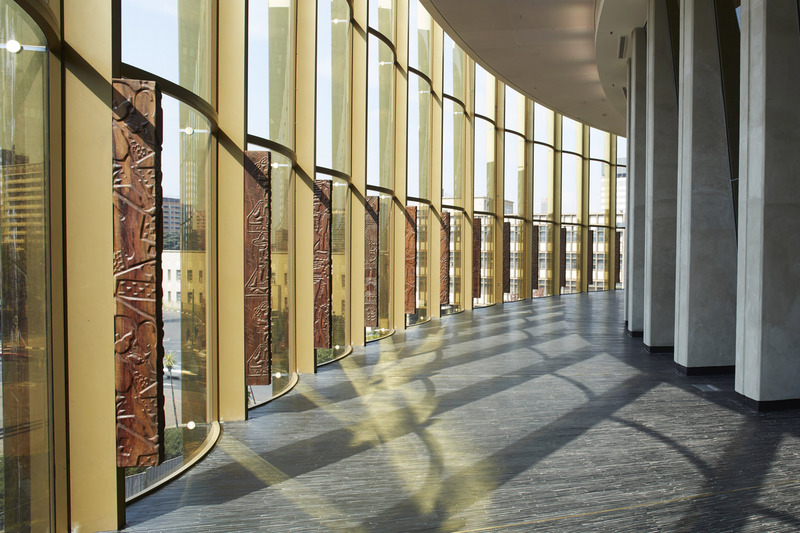 Recently, the Joburg Property Company (JPC), an agency of the City of Johannesburg, completed the Council Chamber building north of Rissik Street. 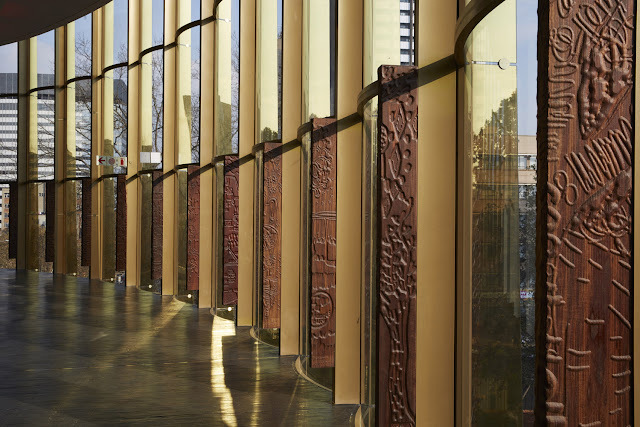 This building contains the stories of the residents of Johannesburg, told in visual form through the unique creation of 134 beautifully carved Totems. It was fitting that the competition for those Totems commenced over Heritage Day in 2016. These Totems were once again in the spotlight when the JPC was listed as a finalist in the prestigious BASA (Business and Arts South Africa) annual awards ceremony held on 17 September 2017 at the Nirox Sculpture Park in the Cradle of Humankind. The BASA Awards this year highlighted the great partnerships that can be formed between business and the city. Once again it highlights the absolute need to ensure that the arts remain integral part of our society – growing cultural capital and social engagement and brings it all together to celebrate our heritage. Heritage Day is a truly beautiful day. A day when South Africans of all creeds and cultures come together to celebrate their diversity. Now that may seem like a paradox, but celebrating the vast array of beliefs and traditions that make up our rich heritage, does just that… Brings us together. In fact, it firmly roots us as a nation that belongs to all its colourful people – a nation that can celebrate who we are individually and collectively. Celebrating our cultures, in all their beautifully diverse forms, helps to build us towards a South Africa of the future. Heritage Day is about capturing this unique spirit of our nation on an ongoing basis, not just celebrating a day on the South African calendar. Over the centuries, one of the most important ways culture has been celebrated and transferred, is through the visual arts. And the Council Chamber Totems which are now in full view of the public and the councillors, do just that on a daily basis. One young girl took ownership of her artwork in a way that a seasoned artist would and wanted to understand exactly what the next steps were to be involved in this process. Others were just overjoyed and could not believe their artwork would be displayed in those hallowed corridors. Their pride was overwhelming to community leaders and humbling to others. Johannesburg has been a cosmopolitan city from the outset – a burgeoning community built on diversity. From the San people who originally inhabited the region, to the groups of Bantu-speaking people who started moving southwards from Central Africa by the 13th Century, to people who flocked here from far and wide in the Gold Rush of the late 1800’s, Johannesburg, Jozi, eGoli, Plek van Goud, is no stranger to multiplicity and the uniqueness it brings. With this colourful palette of history and culture as a backdrop, participants in the art competition were able to draw on and express their personal Jozi experiences, perspectives and heritage. In the spirit of Ubuntu, the selected artworks were each awarded with R5000, but the greatest prize that could have been given, was the overwhelming sense of pride in seeing their work memorialised. Visitors are now able to enjoy the experience of walking the circular floors of the Chamber, complimented by the towering 2 metre high totems framing magnificent city views. Each totem carries the name of the artist at the bottom of the piece. Heritage Day is a day to celebrate the contributions of all South Africans to the building of a nation. In this vein, the Totem Art Competition praises the honoured traditions of the citizens of Johannesburg and the contributions they have made in making our City what it is today. When the competition kicked off, JPC invited residents to take part in leaving a lasting legacy… And collectively, they have certainly done just that.